Senescent hepatic stellate cells (senescent HSCs) are found in patients with liver cirrhosis and have been thought to be involved in the development of hepatocellular carcinoma (HCC) in mice via the senescence-associated secretory proteins. However, in humans, which secretory proteins are involved and what regulate their expression remain unclear. In the current study, we characterized senescence-associated β-galactosidase-positive senescent human HSCs (hHSCs) induced by repetitive passaging. 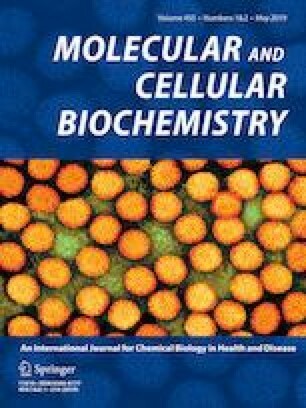 They exhibited enhanced expression of 14 genes for secretory protein and persistent phosphorylation of ERK1/2 protein but not JNK or p38 MAPK proteins. Enhanced nuclear ERK1/2 phosphorylation was observed in senescent hHSCs. Treatment of the senescent hHSCs with ERK1/2 inhibitor, SCH772984, significantly decreased the levels of angiopoietin like 4 (ANGPTL4), C-C motif chemokine ligand 7 (CCL7), Interleukin-8 (IL-8), platelet factor 4 variant 1 (PF4V1), and TNF superfamily member 15 (TNFSF15) mRNA levels in a dose-dependent manner. The enhanced phosphorylation of ERK1/2 and expression of ANGPTL4, IL-8 and PF4V1 genes were observed in both of senescent human dermal fibroblasts and X-ray-induced senescent hHSCs. However, transient ERK1/2 activation induced by epidermal growth factor could not mimic the gene profile of the senescent hHSCs. These results revealed involvement of ERK1/2 signaling in the regulation of senescence-associated secretory factors, suggesting that simultaneous induction of ANGPTL4, IL-8, and PF4V1 genes is a marker of hHSC senescence. This study will contribute to understanding roles of senescent hHSCs in liver diseases. The online version of this article ( https://doi.org/10.1007/s11010-018-3466-x) contains supplementary material, which is available to authorized users. We thank Atsuko Daikoku (Osaka City University), Kenji Kitamura (Osaka City University) and Junko Kawawaki (Research support platform of Osaka City University Graduate School of Medicine) for technical assistance. NO and TM designed the experiments and interpreted the results. NO, TM, MH, ST, HU, MSM, and YT conducted the experiments and prepared the figures. NO, TM, KY, NK, and KI wrote and revised the manuscript. This work was supported by The Uehara Memorial Foundation, The Osaka Medical Research Foundation for Intractable Diseases, The Tokyo Biochemical Research Foundation, The Osaka City University Strategic Research Grant 2016 for young researchers, JSPS KAKENHI Grant Number JP26870501 and JP17K18012, and a Grant for Research Program on Hepatitis from the Japan Agency for Medical Research and Development (AMED) Grant Number 16fk0210104h0001.